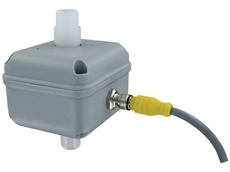 Dwyer Instruments announces the release of its new Series PDWS insertion paddlewheel flow sensors. 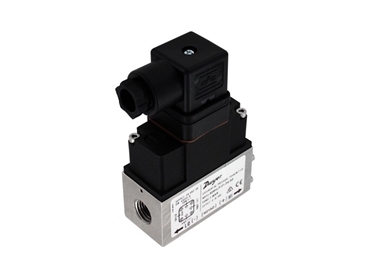 A specialist provider of a complete range of practical and affordable instrumentation, Dwyer Instruments announces the release of its new Series LOFM low-flow electromagnetic flow sensors. 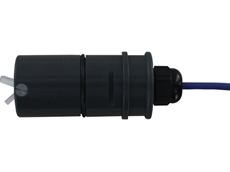 Dwyer Instruments introduces its new Series IEFS insertion electromagnetic flow sensors. 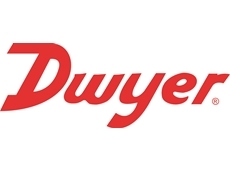 Dwyer Instruments announces the release of the new Series 629HLP differential pressure transmitters recommended for monitoring differential pressure in various applications. 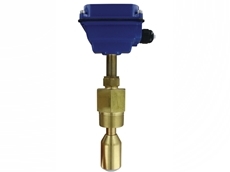 The 629HLP is a high static, low differential pressure transmitter suitable for measuring overpressure or under-pressure conditions in air handlers, heat exchangers, chillers, and hydraulic systems. Key features of Dwyer’s Series 629HLP differential pressure transmitters include IP65 rated enclosure providing a robust exterior; compact and lightweight assembly allowing for trouble-free installation; ability to detect a low pressure differential across high-static pressures, improving measurement accuracy and allowing the system to react quickly to changes; integral dual pressure sensors able to convert pressure sensors into a customer-selected 4 to 20 mA or 0 to 10 VDC output signal; and ranges available up to 6 bar (90 psi) with accuracy up to 1% full-scale. 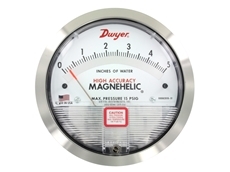 To learn more about the Series 629HLP, please visit the Dwyer Instruments website.